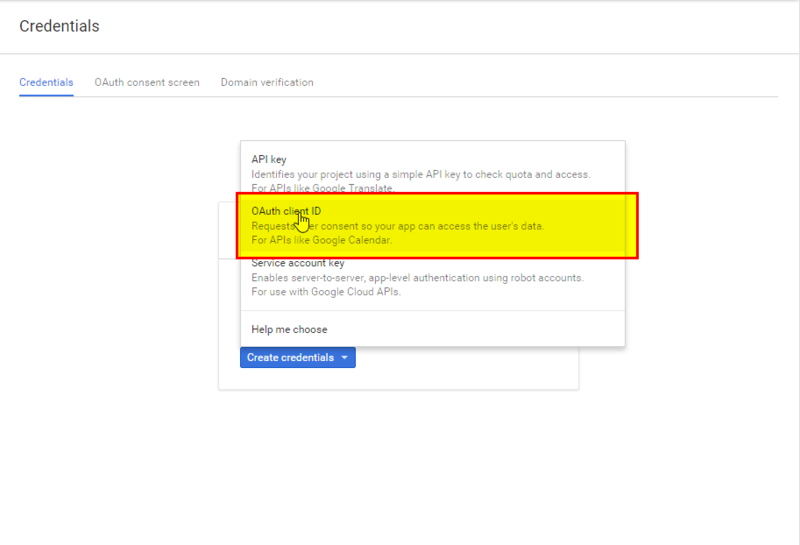 Nearly a year ago Google already deprecated a most of its legacy API’s which means you cannot authenticate using the Google.GData.Client.Service and executing the setUsersCredentials method and simply indicating your user and password. 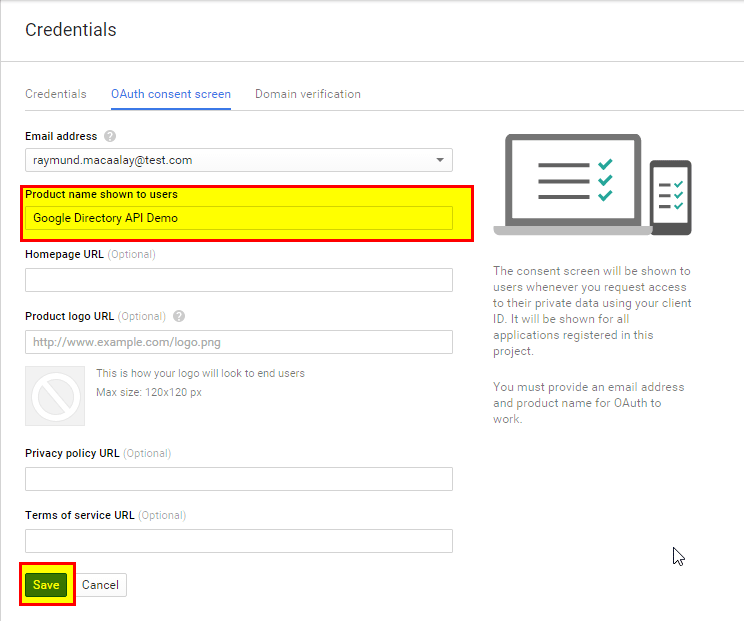 It was changed with OAuth making it more secure as it uses tokens and let the user actually log in to Google’s servers to perform the initial authentication and generation of tokens. This means gone are the days of quick and easy way of authenticating your user instead you will be performing multiple steps to perform the authentication. This article will explain to you step by step on just how to achieve that in the most easiest way. 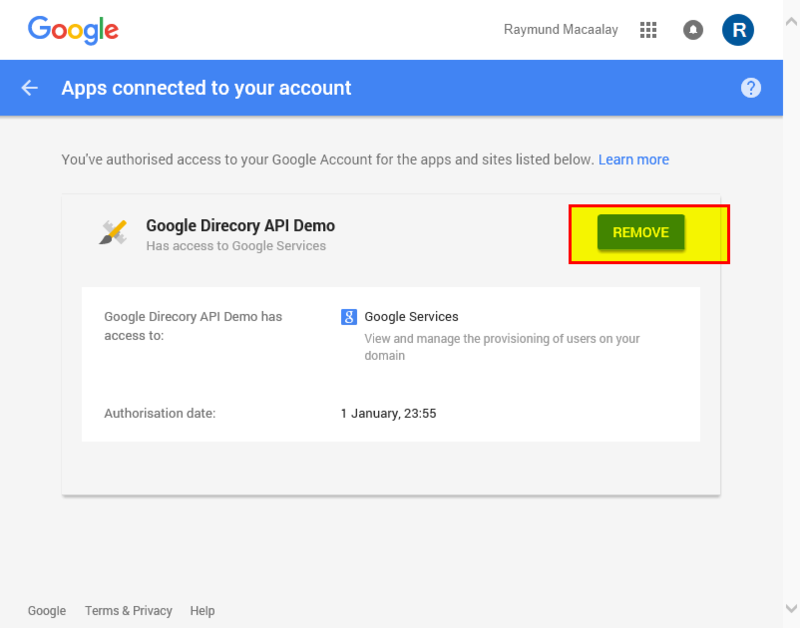 For this article we will be creating a simple password reset of a user in Google which is very useful when you want to revoke access for a user in your domain but leaving the account readable as long as you have the password. 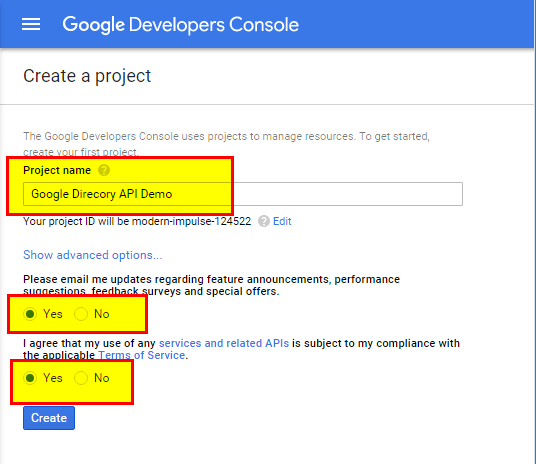 The codes that I will be showing has also the capability of updating your user information as we are using the UsersResource in Google’s Directory Service meaning any user information exposed on this object can be manipulated. If you have it then you can continue otherwise ask for that access first before continuing. Now lets start! 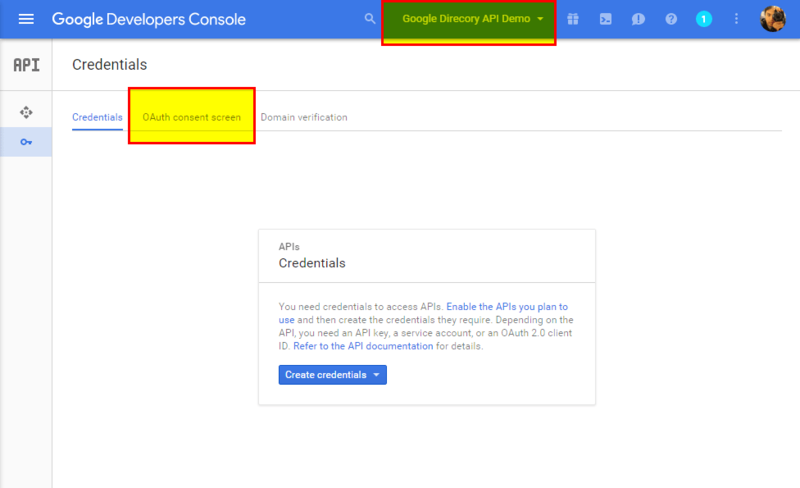 Go to https://console.developers.google.com/ and log in using your user that has the Vault administrator access. Once in create a new project and give it a meaningful name. 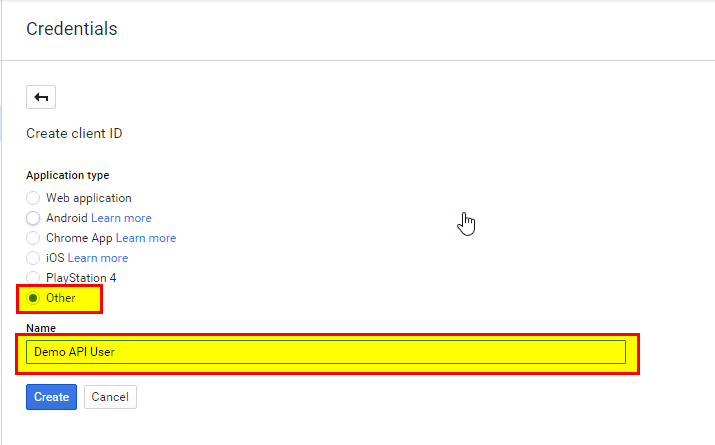 And set a product name shown to users. This is what will be shown to users whenever you request access to their private data. Once created you will be given a client Id and a secret token. 2. Lets create your project or at least the class you need. Other dependencies will be installed so at a minimum you will need them. 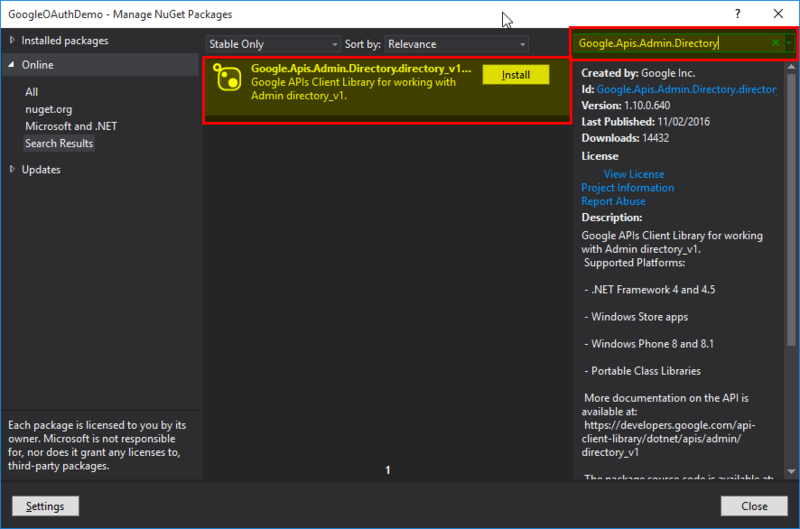 Take note you might need to update other references for this to work so in the Manage Nuget Packages screen on the left hand menu choose updates and update all. Now lets start coding, for this demo we will just put it in one class to simplify, up to you how would you structure it for your project. 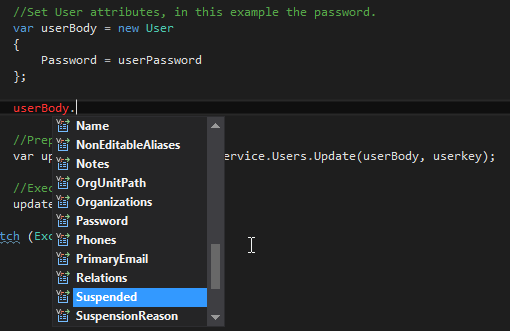 //Set User attributes, in this example the password. If you see from the codes we have indicated where you will be storing your client secret JSON file. 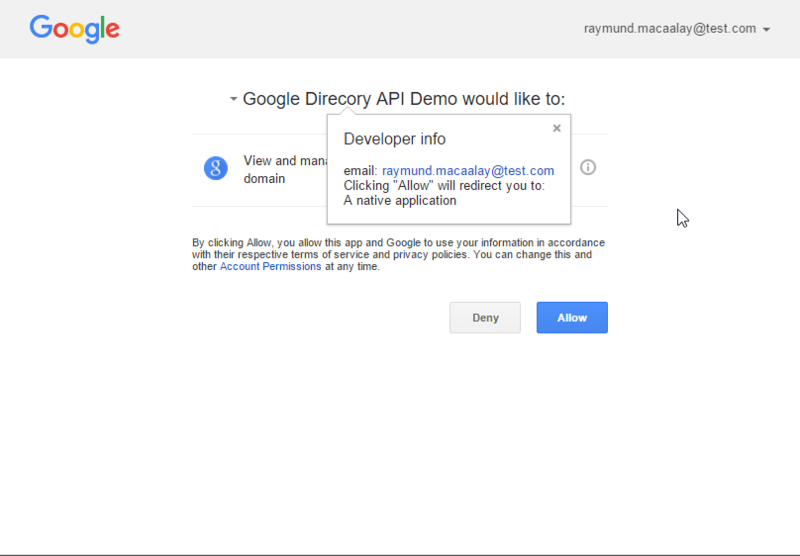 We also had indicated a location where Google will store the Token response file. 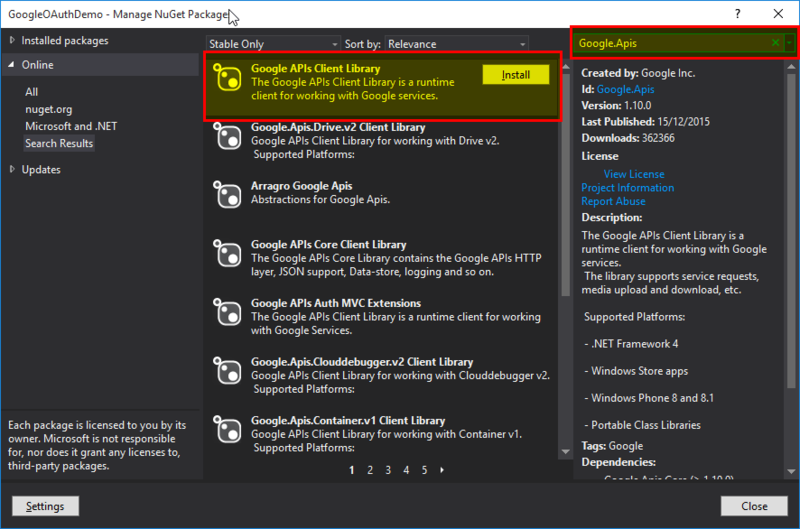 This file gets updated once it expires and you need to make sure the user running the application can read and write both file and folder locations. 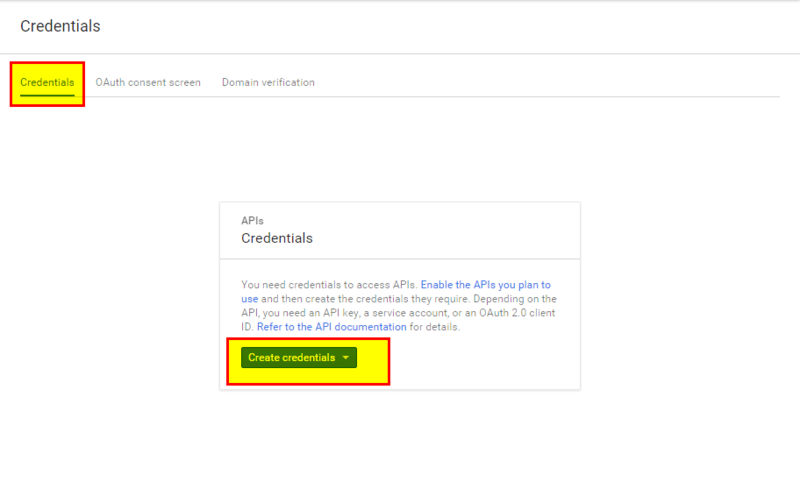 From here its quite simple, you will not see any user and password unlike the old authentication mechanism, the JSON file identifies you and when you first run the application you will need to sign in as the user you used in generating the secret file. This way its more secure. 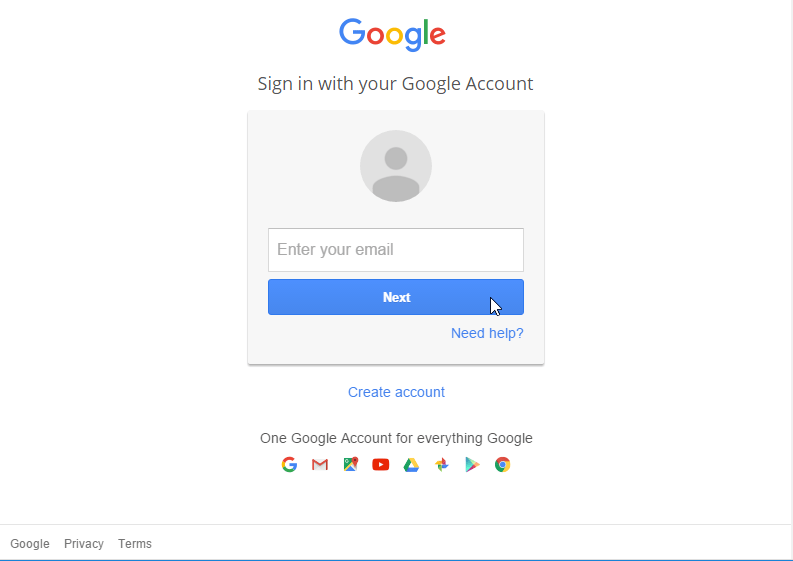 From here you can basically do anything with the user, so I leave it up to you what you want but for this sample I will just do a change password. 3. Authorizing for the Application for the first time. It will then ask you whether you want to allow that application to have access using your credentials. 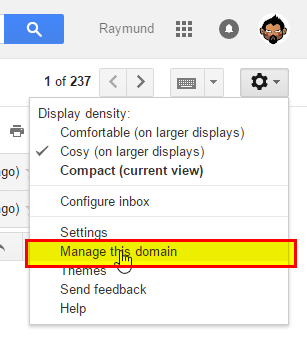 Once you allowed it will create a token on your GoogleFolder that you nominated on your codes. And the browser will give you a return message that you received the verification code. On succeeding runs this will not do this anymore unless you revoke the applications access. Another layer for security. 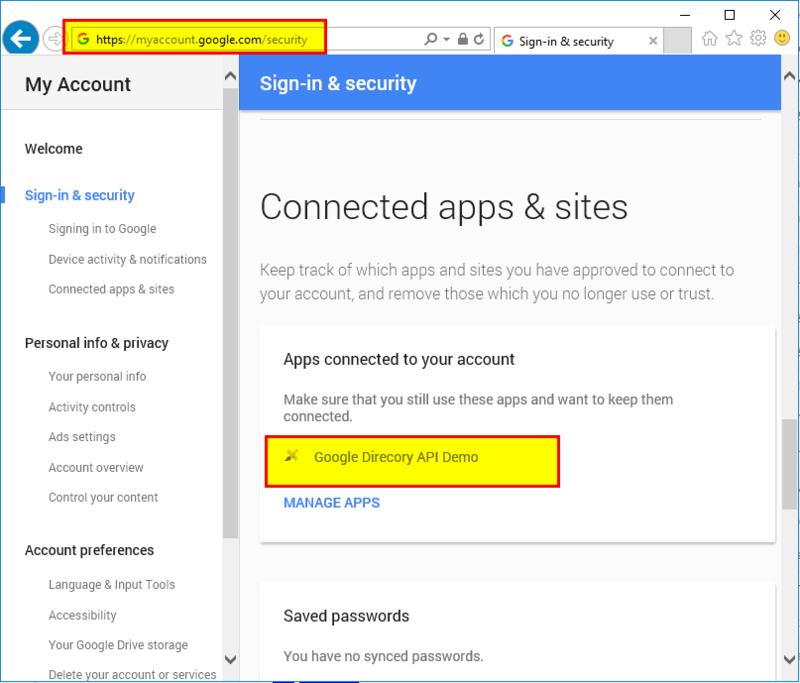 Go to https://myaccount.google.com/security, using the same user go to the section where it says Connected apps & sites. You will see here the application you just developed. From here you can manage it and remove its access. That app only will show here once a token is created. That it, it’s that simple.